Richard Stephen Demetriadi was born in Chelsea on 14th August 1918 and educated at Eton. 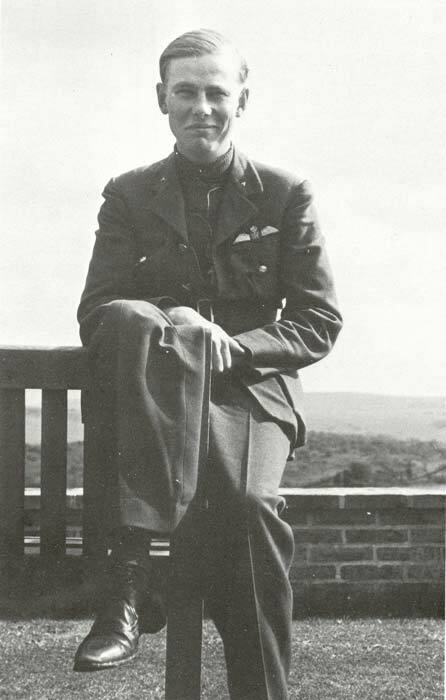 He joined 601 Squadron, Auxiliary Air Force in 1938. He was commissioned in July and called to full-time service on 25th August 1939. He was shot down into the Channel and killed on 11th August 1940 during a combat off Portland, in Hurricane R4092. He was the son of Sir Stephen Demetriadi KBE and brother-in-law of Flying Officer W H Rhodes-Moorhouse (also of 601 Squadron). Demetriadi was 21 years old. 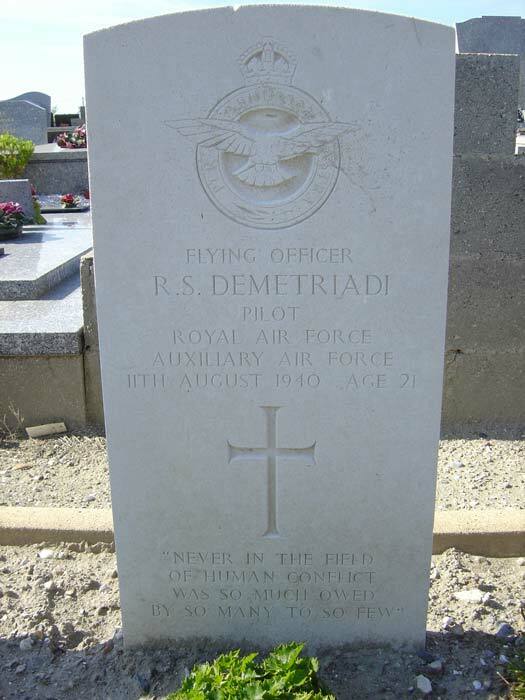 His body was washed ashore in France and he is buried in Cayeux-sur-Mer Communal Cemetery, France (north of Le Treport). 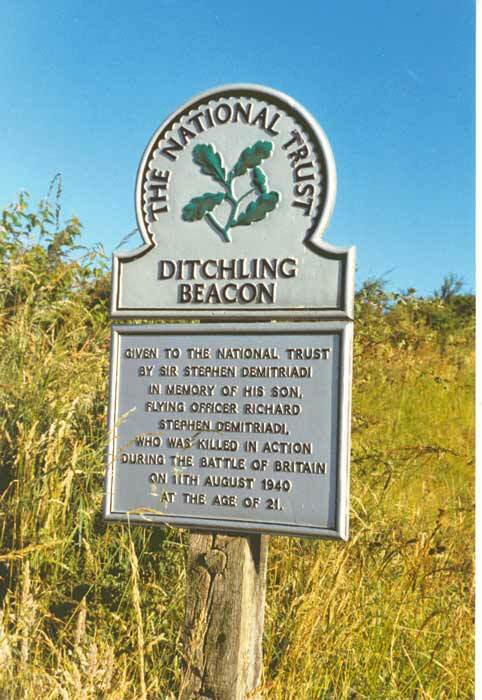 His father gave land at Ditchling Beacon to the National Trust in memory of his son. Above: Demetriadi is also commemorated in his home parish church of St. Martin at Westmeston, Sussex. 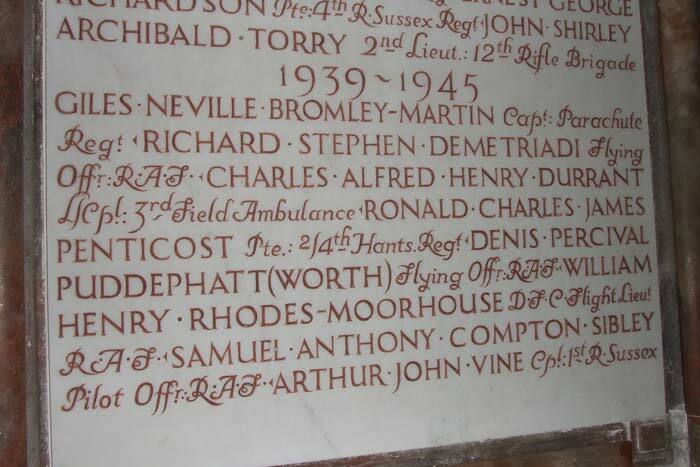 Interestingly his brother-in-law, Flying Officer W H Rhodes-Moorhouse (also of 601 Squadron) is also listed there although his home was in Dorset.